One of the many questions that arises when reading Jane Austen’s novels is how has her work stood the test of time? Why are we still obsessing over Jane Austen and why do we continue to read her novels even though they were written over two hundred years ago and reflect a society from a different era? 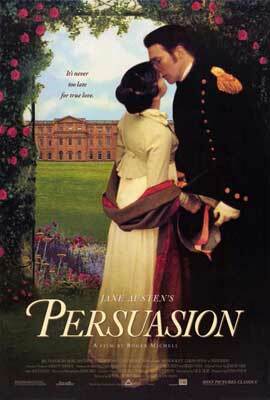 There must be a reason why her novels like Persuasion remain popular amongst readers. There can be many different answers to these questions, but I think the most important answer is that the plot and themes that Austen focuses on are universal themes that show what makes us human. Since the themes are universal we are able to make a deeper connection because we can see pieces of ourselves within the book. Written or film adaptations of novels like this might change certain aspects of the plot but they tend to maintain most if not all of the universal themes that define the story; this proves that the universal themes play a major role in why these novels have stood the test of time because they are still relevant to today’s society. 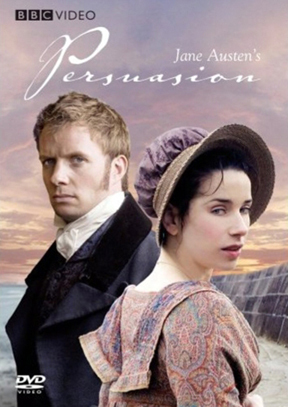 Now let’s look at the specific universal themes from Persuasion and how the adaptations continue to show the connection readers make between our society and Austen’s society. So, what is Persuasion about? Well, as Kate from the film adaptation The Lake House puts it, it is a story about waiting. One of the most important themes in Persuasion is the idea of a second chance at love or needing to wait until it is the right time to be with someone you love. This manifests in the romance between the main characters, Anne Elliot and Captain Wentworth. The plot of the novel revolves around an event that happened eight years before the story takes place, where Anne and Captain Wentworth fell in love but it was not the right time for them to be together. They wanted to marry each other, but Wentworth had no fortune or guarantee that he could gain a fortune then rise up through the ranks and Anne believed that it was to his advantage not to marry her (Austen, 20-21). So, it was clearly not the right time for them to marry even though they loved each other. They needed to wait until they were both in better positions to be with each other. In the end, they both receive a second chance at their love because they were able to wait until it was the right moment to be together; Wentworth has received a fortune and rank in the Navy and Anne is no longer influenced by her family so they are able to be together. Persuasion. Directed by Roger Michell. BBC, 1995. I think this idea that one wants a second chance at love, especially if it is a love worth waiting for, is a universal truth that can still speak to us today because it’s natural for a person who loved someone, but it did not work out for whatever reason, to want to have another chance to make it work. I know that this is one of the aspects that drew me in to this novel because I identified with Anne Elliot’s situation, and I’m sure there are other women out there who feel the same way. I identified myself with Anne Elliot because I’ve also been single for a while, although not as long as Anne has, and there was a time where I had feelings for a boy and I knew that he shared the same feelings. I don’t think it was the same amount of romance that Anne and Captain Wentworth shared, but it didn’t lead to anything because we were both pretty young and didn’t know how to express our feelings to the other; so just like Anne and Captain Wentworth we parted ways. Similarly to how Anne was jealous of Captain Wentworth’s pursuit of Louisa Musgrove, I was also jealous when this boy that I loved moved on and started dating other girls. However, following Anne and Captain Wentworth’s romance has given me hope that I could also receive that second chance at love and I’m sure there are other readers who feel the same amount of hope after reading this novel. The romance in Persuasion shows that there is a universal truth that a great love is worth waiting for and that second chances at love can come true. Audience who read this novel and identify with Anne Elliot can see that there is hope for them to find their second chance at love and by doing this it helps the story live on because further generations are able to connect with the story. Another relatable topic is the relationships between family members and the kind of characters that Austen creates within this story. Austen creates personalities for her characters that still hold true today. Since these characters have relationships with Anne, we are able to put ourselves into that character because we can see that we have similar people in our lives. For example, the relationship between Anne and Lady Russell is a common interaction that I believe people still experience now. Today some people might have a family friend who tries to take the place of a parent in order to help with their problems. However, like Lady Russell, these family friends might end up doing more harm than good. Or others might find that they have a Mary Musgrove or Sir Walter Elliot in their lives; they might know people who are overdramatic and try to push responsibilities on to others, or they might know people who they who are vain and only care about status and wealth. 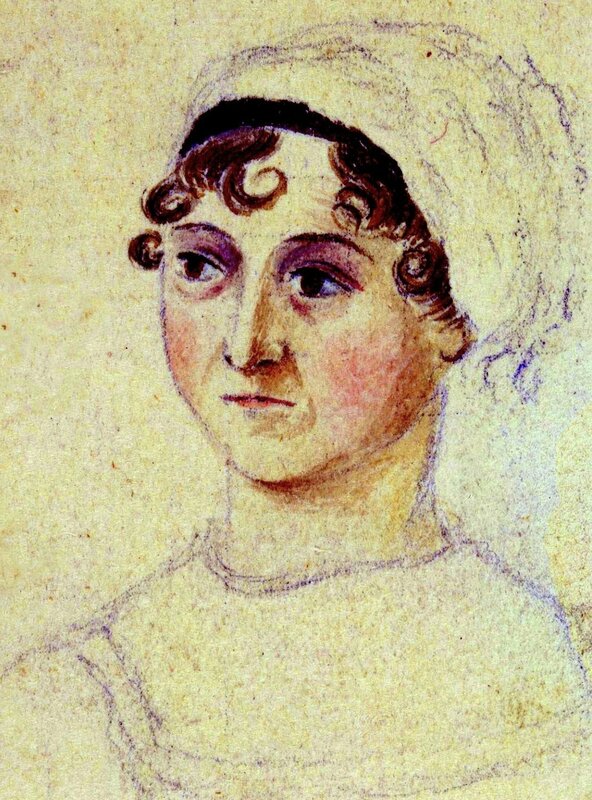 Even though Austen establishes her characters in a different time, they still represent certain personalities that people still possess today so modern audiences can find these characters relatable. Creating these kinds of characters and relationships allows the audience to further connect with the story and to Anne Elliot because they have similar relationships with similar people in their lives. A final major theme of Persuasion that we find still relatable is the idea of being persuaded in regards to need to succumb to pressures to fit social expectations. Examples of persuasion appear throughout the novel, but the most important example is when Anne listens to Lady Russell’s advice in refusing Wentworth’s marriage proposal. Even though Anne truly loves Wentworth she allows herself to be persuaded in ending the relationship because she views Lady Russell as her second mother and values her advice since it comes from a place of caring (Austen, 21). Lady Russell’s opinion on their relationship is based on the social expectations of a woman in Anne’s social position; noble women were expected to marry men who had connections and wealth in order to remain in their social positions. However, Wentworth is without connections, wealth, or a guaranteed position at the moment so choosing him as a suitor would defy the social expectations of the nobility. Therefore, Anne allows the pressure of Lady Russell’s opinion to affect her and as a result she allows herself to submit to what is expected from her. Even though the social expectations that Lady Russell persuades Anne to follow are rooted in Jane Austen’s time, the idea that people are often pressured into following society’s social rules is still common today. There are still times where people now feel pressured to follow social norms. For example, attending college after high school has become an expectation in our society and students are often pressured to follow this expectation if they want to find a decent career. Even though some expectations might have changed since Jane Austen’s time, the idea that people are pressured to follow these expectations still stands. Therefore, when we see the main character of the novel conforming to social expectations we can relate because we have experienced similar pressures. However, Anne choosing to ignore those expectations at the end of the novel by following her heart and accepting Captain Wentworth shows that we should not allow ourselves to be persuaded which is a message that can still apply to modern audiences. 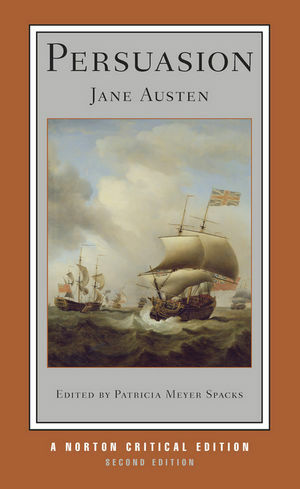 All of these major themes that Austen focuses on in this novel show the human condition and the adaptations of the story that maintain these subjects prove that the same themes still apply today. Horowitz, Laurie. The Family Fortune. HarperCollins, 2006. 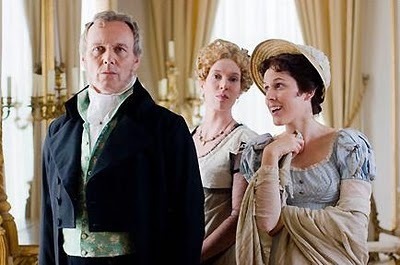 There have been many written and film adaptations of Persuasion that all show different versions of the story, but what remains the same are the universal themes that Austen highlights her original novel. 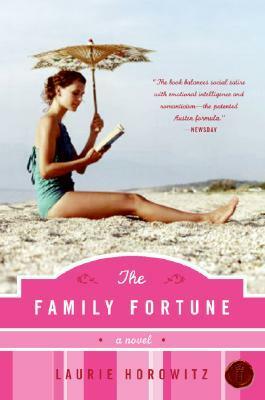 For example, Laurie Horowitz’s novel The Family Fortune is modern adaptation of Persuasion which is set in Boston, yet the major themes of the original are still present in this version. Austen’s original theme of second chance at true love and waiting until that love can happen is prevalent in this version of the story. In this adaptation, the Anne Elliot character, Jane Fortune, falls in love with the Captain Wentworth character, Max Wellman, when she discovers him as an up-and-coming writer with her work at a literary foundation that is known for discovering new authors. Similarly to the original, their first chance at romance does not work because Max was at an early point in his career and Jane did not want to get in the way of his career so they grew apart; it was not until they waited long enough to where they were at a point in their lives where they could be together. This shows that waiting for a second chance at true love is still relevant today because modern characters in a modern story can still experience the same kind of romance that Jane Austen’s characters experience hundreds of years before. Even though this adaptation plays around with the plot by changing the setting and adding elements like the Anne and Wentworth characters meeting through work at a literary foundation, the most distinctive and important themes remain important elements to the story. Since these are the elements that endure it proves that the themes are a major component to why we still read Austen’s novels. There are also film adaptations that change the plot in the process of putting the story of the original into modern day while still maintaining the central themes of the plot, like the 2006 film The Lake House. In regards to plot, this movie shares little resemblance with Austen’s original novel because it is about a man and women who fall in love through letters that seem to be crossing through time; Kate is in the present writes letters to Alex who lives two years in the past. Even though the film deviates from the original plot, it still maintains Austen’s themes of waiting for love and the pressures to fit expectations. The majority of the movie focuses on Kate and Alex realizing that they are starting to fall in love with each other through their letters, but they are in different times so a relationship between them is impossible. If they want to be together they must wait until both of their timelines line up and this does happen at the end of the film. The main element of their romance is that they needed to wait for the right time to be together, which is just how the relationship between Anne and Wentworth works. The film also keeps the theme of social pressure; however, it changes to the male character experiencing the pressure rather than the female character. In the original, Anne is the one who experiences the enormous pressure from her family to follow what is expected of her, but in this film Alex is the one who feels pressure from his father to live a certain kind of life. This shows that all people can feel the need to try to fit into the role that is expected of them. The Lake House is an example of and adaptation that changes many elements of the original story, yet shares the themes from the original which proves that it is those themes that make the story able to connect with current audiences. On the other hand, there are film adaptations that stick relatively close to the plot and setting of the original, and they also portray the same central themes that we connect with today. These adaptations allow for a visual representation that could enhance our connection because we see the universal truths play out before our eyes in a setting that is true to Austen’s original. All of these adaptations prove why we are still interested with Jane Austen’s novels. Stories like Persuasion have survived into modern-day society because of its universal themes that translate to today’s society. Audiences are able to make greater connections with these kinds of stories because they might see parts of their own lives in these books. In Persuasion the themes of second chance at love, relationships between family members, and pressure to conform to expectations are the main elements that define the story as well are the parts that audiences connect with. These are the elements that keep getting repeated in the adaptations, even though other elements of the story keep changing. Since these themes stay the same this must be one of the main reasons why Austen’s novels still speak to us today. Modern adaptors are allowed to have fun in playing around with the plot and other elements of Persuasion but maintain the major themes because these are the elements that drew them in to the story. It is important to read novels like Persuasion because the universal themes show us that we are not so different from those in the past. Horowitz, Laurie. The Family Fortune. HarperCollins, 2006. Print.